HP Maintenance is a family owned and run business with 20 years of experience in the industry. We provide an honest, reliable and trustworthy service to clients across North Yorkshire. 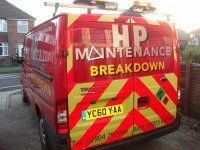 When you need a mobile mechanic in York, whether your car is at home or work, call HP Maintenance. 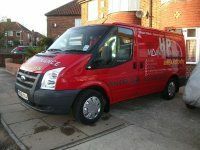 We are a completely mobile car repair and recovery service based in Acomb, York. We travel 50 miles around the City for our clients, providing a first class repair and maintenance service at competitive prices. Our team are prompt and dependable, and because we have lower overheads than a regular garage, we can offer highly competitive prices. For servicing and general repairs in York and beyond, call us today. We also offer a swift recovery and breakdown service so give us a call in an emergency and we'll be right there. We have a fantastic reputation throughout the region and we're proud of the high quality of our workmanship. We look forward to hearing from you when you need breakdown recovery in York.